The Dual Port USB Wall Charger was designed to charge two iPads or iPhones simultaneously. Our modern design sports 2.4 Amps of power for each port to quickly charge your gadgets. Conveniently charge two iPhones, iPads or one of each simultaneously with our 4.8 Amps of combined power (2.4 Amps per USB port). 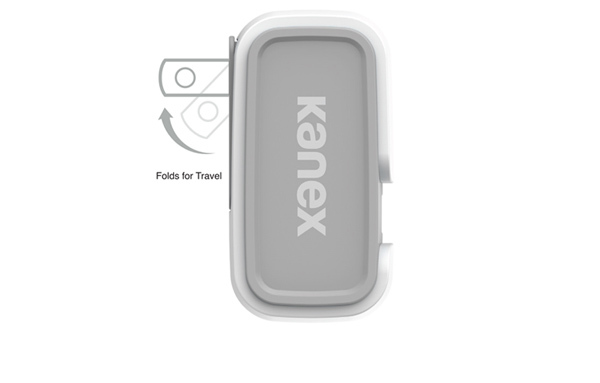 This 4.8A USB Wall Charger features fold-down plug blades designed to make travel a synch. No more worrying about puncturing your items, leaving marks on your clothes or bent plug blades. The Dual Port USB Wall Charger features over-current and circuit protection to ensure that your device is protected at all times while charging.